Kryger Glass ensures the automotive glass installed and the workmanship performed is free from defects for as long as you own your vehicle. Please keep in mind Kryger Glass is not liable for any uncontrollable breakage of additional parts during the installation process, which may include but is not limited to radio antennas, moldings, mirrors, door panels, cowls, paint pulls, etc. In the event an additional part is damaged, the customer will be held responsible for replacement costs. 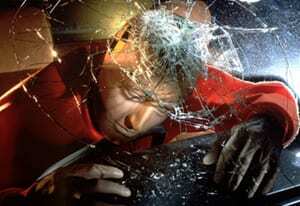 Windshield repair is a process where we inject resin into the damaged area. After the resin is injected we cure – or harden – the resin. Results are dependent on a variety of variables, including size and type of damaged area, the length of time the area has been damaged, foreign materials in cracks, weather, size-of-impact area, and the length of the cracks. Getting your windshield repaired does not necessarily make the damage disappear. The purpose is to keep the damage from spreading and to improve visibility. When attempting to repair a windshield, there is a slight possibility that the chip or crack will become larger. Kryger Glass is not responsible for such damage. If you are not satisfied with your windshield repair, Kryger Glass will credit the cost of the repair towards a new windshield replacement. If the repair was paid by your insurance, Kryger Glass will credit your insurance company. NOTE: Windshield repair warranty is not transferable. As a service, Kryger Glass will sometimes install new or used glass that has been brought in by our customers. Although rare, there are occasions when the glass will break during installation. We will not guarantee or warranty glass breakage from glass that was not purchased at Kryger. Sometimes we rely on measurements from our customers. If you are unsure of your measurements, please have us measure the job or glass for you. All cut-to-size flat glass orders are final and refunds will not be allowed. Customer is responsible and obligated to pay for glass provided by Kryger Glass if customers personal measurements were used and glass does not fit per your measurements. However, Kryger Glass will warranty all defects and workmanship issues unrelated to measurements. Do You Know Why Quality Glass and Installation Matter? Ever wonder why your windshield goes through a safety inspection in the first place? Because your windshield is vital to the performance of your car during an accident. It breaks, you break. It isn’t just about how the glass looks, though that’s important. It isn’t only about keeping bugs out, though that matters. Ever wonder why your windshield goes through a safety inspection in the first place? Because your windshield is vital to the performance of your car during an accident. It breaks, you break.